Can you believe 2011 is almost over? It's been quite the year. 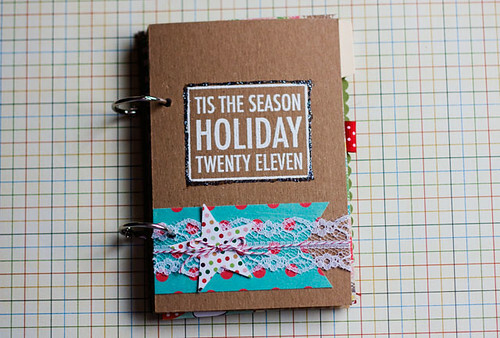 I have been counting the days until I could finally begin my December Daily mini book. I'm keeping it fairly simple and allowing myself to use iPhone photos in addition to my regular photos. 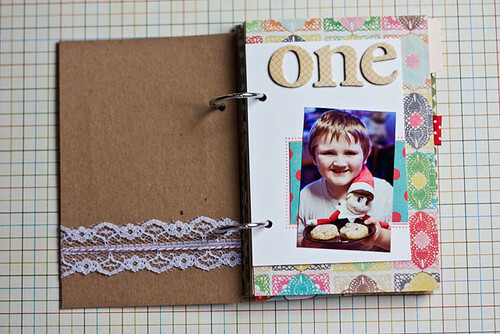 I started out with my premade mini book from Elise Blaha and added in some of my favorite papers and embellishments. 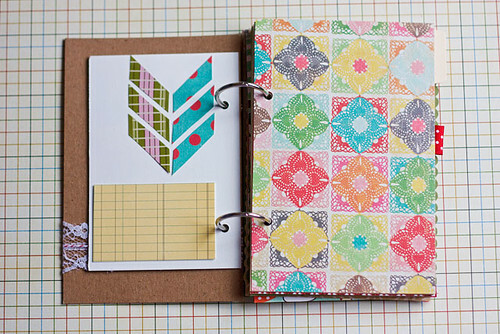 I still need to add journaling to the yellow graph paper. (A sure sign I've lost my sharpie pens ...again.) The morning of my first day in December was spent with my nephew who was home from school. He chose cinnamon rolls for breakfast & brought along his stuffed Elf on the Shelf. I think I'd like to add in a few more holiday themed elements, but for the most part I'm happy with what I've accomplished so far. If you're working on your own December Daily, I'd love to see it! Please post a link in the comments. What a lovely mini book and the papers you chose complement it so well.